Kaya is a rock climber, a writer, an inspirational Youtube guide, and a seasoned traveler of hearts, landscapes and minds! 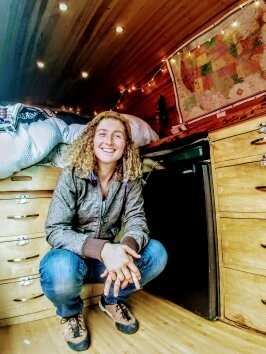 We talked solo-female travel, Vanlife, rock climbing, freelance work on the road, and doing it yourself! Also, this one was guest hosted by our sweet niece, Corrine Couch!